Two of the arrests occur in Libya, where Salman Abedi's father questions whether his son, whom police say was the suicide bomber, was involved at all. LONDON – British investigators are hunting for potential conspirators linked to the bombing that killed 22 people, in a search that is exploring the possibility that the same cell linked to the Paris and Brussels terror attacks was also to blame for the Manchester Arena attack, two officials familiar with the investigation said Wednesday. Investigators were also assessing whether Salman Abedi, the suspected bomber in the attack Monday on a pop concert in Manchester, may have been connected to known militants in the northern English city. Abedi, a 22-year-old British citizen born to Libyan parents, died in the attack. 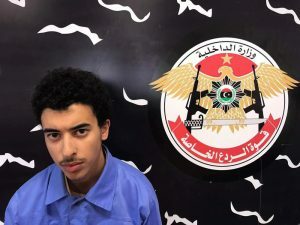 Abedi’s father, Ramadan Abedi, was allegedly a member of the al-Qaida-backed Libyan Islamic Fighting group in the 1990s, according to a former Libyan security official, Abdel-Basit Haroun. The elder Abedi denied that he was part of the militant group and told The Associated Press that his son was not involved in the concert bombing and had no connection to militants. “We don’t believe in killing innocents. This is not us,” the 51-year-old Abedi said in a telephone interview from Tripoli. He said he spoke to his son five days ago and that he was getting ready for a religious pilgrimage to Saudi Arabia. He said that his son visited Libya a month and a half ago and was planning to return to Libya to spend the holy month of Ramadan with the family. He also denied his son had spent time in Syria or fought with the Islamic State group, which claimed responsibility for the concert bombing. “Last time I spoke to him, he sounded normal. There was nothing worrying at all until … I heard the news that they are suspecting he was the bomber,” the elder Abedi said. 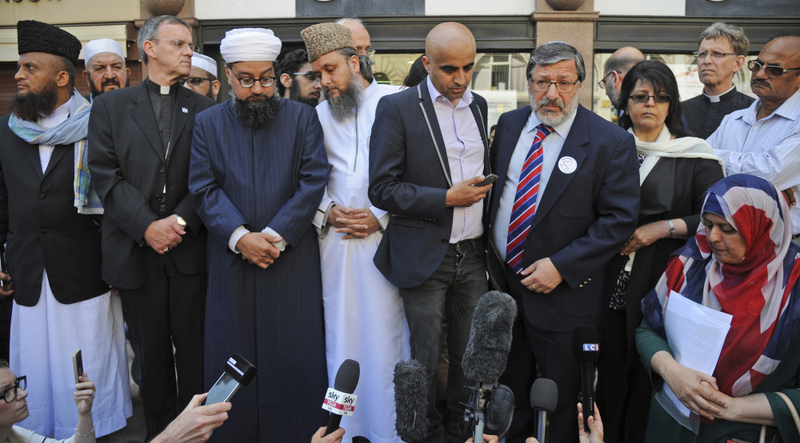 He confirmed that another son, Ismail, 23, was arrested Tuesday in Manchester. A third son, 18-year-old Hashim, was arrested in Tripoli late last night, according to a Libyan government spokesman, Ahmed bin Salem. The elder Abedi was arrested shortly after speaking to the AP, Salem said. The anti-terror force that took Hashim Abedi into custody said that the teenager had confessed that both he and his brother were members of the Islamic State group and that he “knew all the details” of the Manchester attack plot. Ramadan Abedi fled Tripoli in 1993 after Moammar Gadhafi’s security authorities issued an arrest warrant. He spent 25 years in Britain before returning to Libya in 2011 after Gadhafi was ousted and killed in the country’s civil war. He is now a manager of the Central Security force in Tripoli. The Abedi family has close ties to the family of al-Qaida veteran Abu Anas al-Libi, who was snatched by U.S. special forces off a Tripoli street in 2013 for alleged involvement in the 1998 bombings of two U.S. embassies in Africa, and died in U.S. custody in 2015. Al-Libi’s wife told the AP that she went to college in Tripoli with the elder Abedi’s wife and that the two women also lived together in the U.K. before they returned t Libya. British police said Wednesday they had not yet found the bomb maker in the Manchester Arena attack, indicating Salman Abedi was part of a larger cell. “It’s very clear this is a network we are investigating,” Chief Constable Ian Hopkins said. British authorities were also exploring whether the bomber, who grew up in Manchester, had links with other cells across Europe and North Africa, according to two officials familiar with the case who spoke on condition of anonymity because they were not authorized to speak about the ongoing investigation. They said one thread of the investigation involves pursuing whether Abedi could have been part of a larger terror cell that included Mohamed Abrini, otherwise known as “the man in the hat,” with connections to the Brussels and Paris attacks. Abrini visited Manchester in 2015. 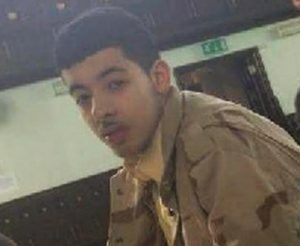 Investigators were also looking into possible links between Abedi and Abdalraouf Abdallah, a Libyan refugee from Manchester who was shot in Libya and later jailed in the U.K. for terror offenses, including helping Stephen Gray, a British Iraqi war veteran and Muslim covert, to join fighters in Syria. Other Manchester connections under investigation, the officials said, include a 50-year-old former Guantanamo Bay detainee, Ronald Fiddler, also known as Jamal al-Harith. The Briton blew himself up at a military base in Iraq in February. He was one of 16 men awarded a total of $12.4 million in compensation in 2010, when the British government settled a lawsuit alleging its intelligence agencies were complicit in the torture of prisoners at Guantanamo Bay. The sweeping investigation has caused friction between U.S. and British security and intelligence officials. Home Secretary Amber Rudd, who said Abedi had been known to British security officials, complained Wednesday about U.S. officials leaking sensitive information about Abedi to the media, saying that could hinder Britain’s security services and police. “I have been very clear with our friends that that should not happen again,” she said. It was unclear whether Abedi was under surveillance as recently as the attack. U.S. Homeland Security Department spokesman David Lapan declined to say Wednesday if Abedi had been placed on the U.S. no-fly list. Under normal circumstances, he said, Abedi may have been able to travel to the United States because he was from Britain, a visa-waiver country, but he would have been subjected to a background check via the U.S. government’s Electronic System for Travel Authorization, or ESTA. 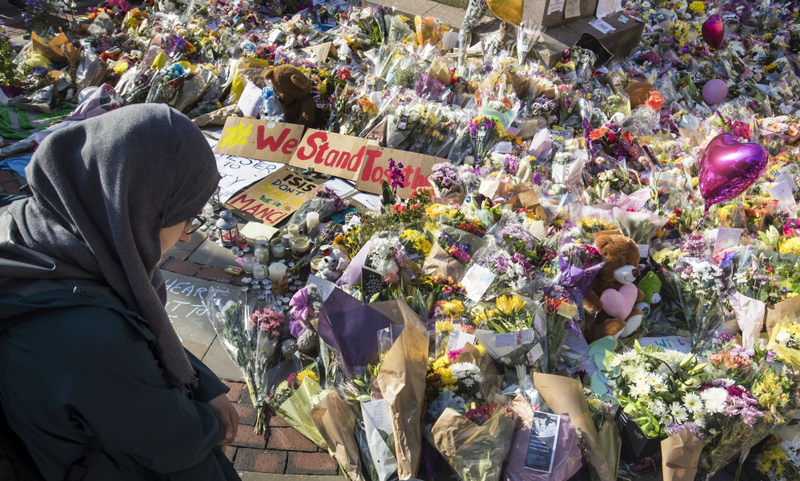 Lapan said the Homeland Security Department has shared some information about Abedi’s travel with the British government, but declined to offer specifics. Customs and Border Protection has access to a broad array of air travel information through the U.S. government’s National Targeting Center. Michael reported from Cairo. 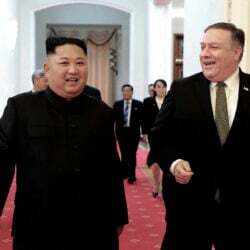 Associated Press writer Rami Musa in Benghazi, Libya, and Alicia Caldwell reported in Washington contributed to this report.